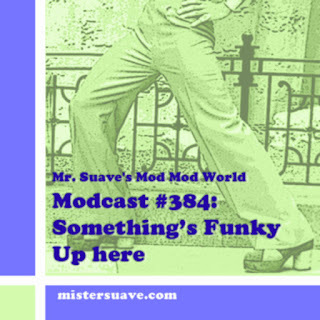 Welcome to Mr. Suave's Mod Mod World, and what better way to open a show on a day when Germany schools Argentina in the world's game than with a German mod band Superpunk with "Das Waren Mods". And since it's America Independence Day, a day when the national pasttime is in full swing, I also included a great song by power poppers The Baseball Project about former MLB pitcher Jose Lima. Lima was a good pitcher -- great one year, 1999 when he won 21 games and started the All-Star Game -- but was better known for being quite the character. In fact, The New York Times dubbed him "the national anthem-crooning, towel-waving merengue singer who moonlights as a right-handed pitcher." Sadly, Lima died of a massive coronary on May 23rd at only 37 years of age. Amazingly, The Baseball Project already have a song out honoring him, and a damn fine one too that's a bit evocative of a more 1979ish power pop sound. Lots of other good stuff on this week's show. 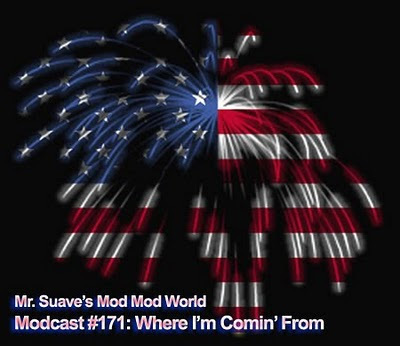 So, don't blow your hands off with a firecracker, but do celebrate the great American holiday with a few cocktails and the web's longest running modcast.